Searching for a top-class Christmas & New Year touring experience? Look no further, as our Luxury tours of Pacific will allow you to discover exceptional destinations such as Quito and Isla Baltra. Taste the adventure and discover new cultures while enjoying premium services and facilities. "7.5 days on the boat was just about the right amount of time. 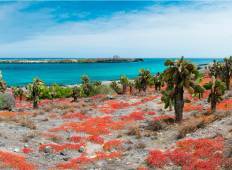 You do not want to..."
"My trip to the Galapagos Islands was amazing! 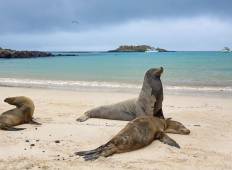 I was traveling with my boyfriend and..."
"With Rebecca Adventure Travel I did the 6 day Galapagos Hopping Tour. It was perfectly..."